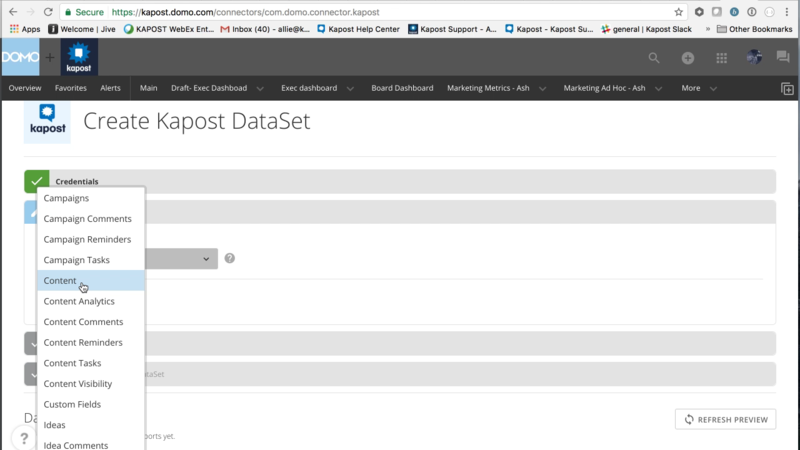 Domo has an integration with Kapost that allows users to pull Kapost data into Domo to make data sets, which can then be added to cards. 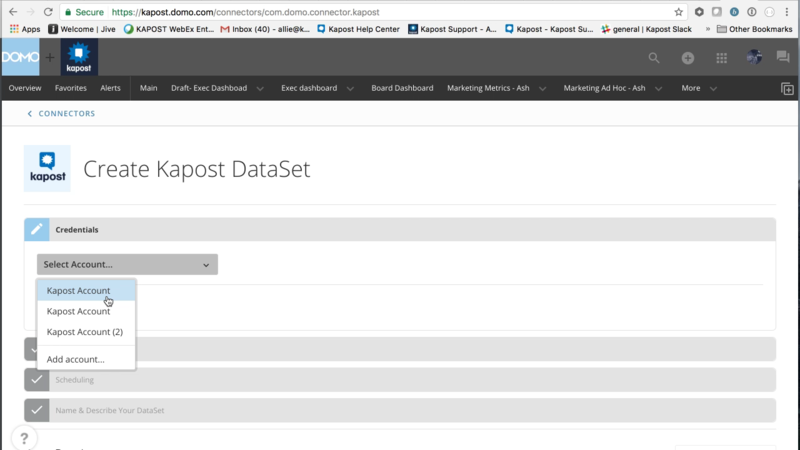 This will take you directly to where you can create a Kapost data set. The first time you go to this page, you will be asked to add your account. Fill out your credentials and connect your Kapost account with Domo. 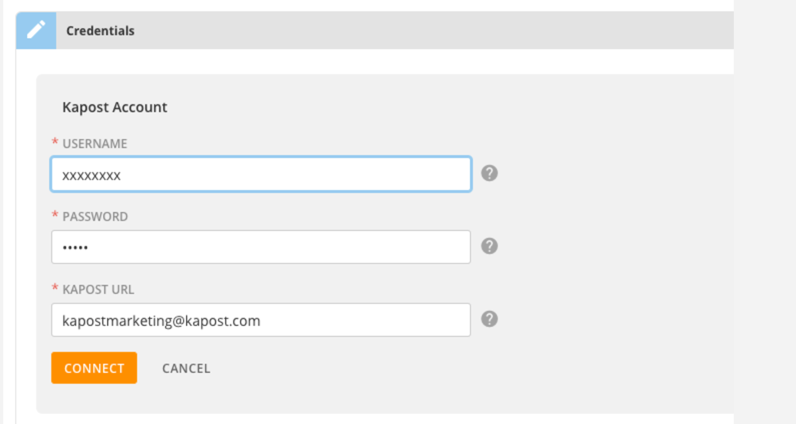 Once you're connected to Kapost, choose your Kapost account from the dropdown menu in the Credentials section of your data set page. 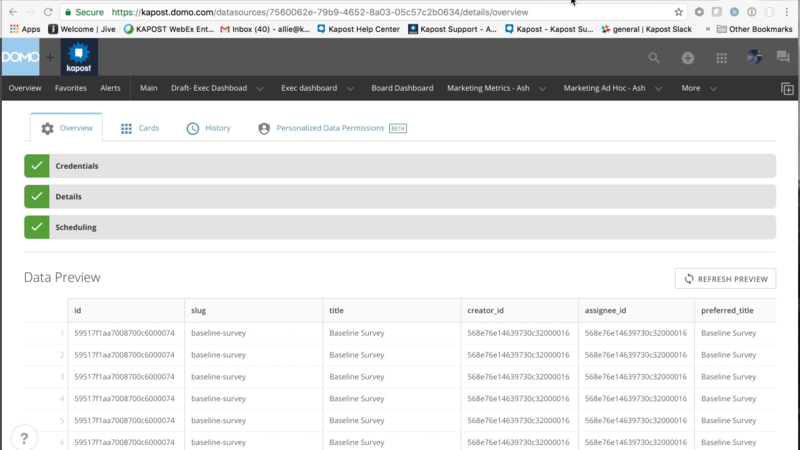 Next, choose which report you would like to pull from the Details section of the DataSet page. Next, schedule how often you'd like your DataSet to update on the Schedule tab. Next, name your Data Set and add a description . Finally, wait for your report to import and preview your Data Set. Once you've pulled your report, you can add it to cards and analyze it with the rest of your Domo data. If you have any questions, please contact the support team at support@kapost.com.